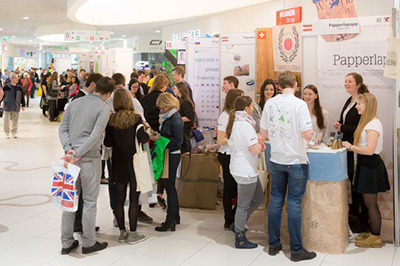 JA Marketplace offers an opportunity to JA secondary school student companies to show off their innovative ideas and sell their products and services in a public setting. It is also an opportunity to meet young people from other countries, their teachers and business volunteers. Under our flagship JA Company Programme students find out what it’s really like to set up and run a business. Delivered across an academic year, young people make all the decisions about their company, from raising the initial share capital through to designing their product or service to selling directly to customers and ultimately winding up the company and paying their taxes. All this takes place with the support of a business adviser who brings a wealth of business knowledge and expertise to the team and the support of the teacher who facilitate the learning-by-doing process. Discover soon the different 2019 JA Marketplaces! Event information to be updated as it becomes available, stay tuned. Register your JA Marketplace HERE!